DAVID P. SCHWARTZ - Schwartz and Shapiro LLC. 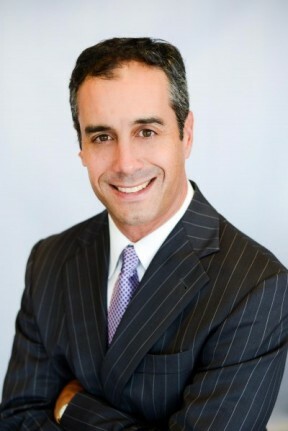 David is particularly well-versed in sophisticated wealth transfer and estate planning strategies for individuals and real property owners, counseling clients on matters ranging from generation-skipping planning to sales, loans and transfers to irrevocable grantor trusts, grantor-retained annuity trusts, and charitable lead and charitable remainder trusts. David regularly advises clients on the transfer of real property assets, including strategies to pass assets to succeeding generations in a transfer and property tax efficient manner. David regularly presents educational sessions to accountants, insurance and financial advisors, as well as other attorneys, regarding the estate and gift tax laws and strategies. David has been selected for inclusion in the Southern California Super Lawyers Rising Stars Edition in each year from 2005 to 2009 (after which, upon reaching age 40, he was no longer considered a “rising star,” and since has been included each year in the Southern California Super Lawyers Edition). David is an active participant in his community, and is deeply involved and committed to his work with the Beverly Hills Bar Association (where he was a former co-chair of the Trusts & Estates Section) and the Beverly Hills Estate Planning Council. When not in the office, David enjoys spending time with his family and can be found on any of a number of soccer fields throughout southern California with his son and daughter.